One of HMD Global’s big offices is also located in the United Arab Emirates, alongside London, Shenzhen and the headquarters in Espoo, Finland, right across the street from Nokia’s HQ. So it doesn’t come as a surprise that the Middle East is an important region for HMD, where the company is already the No.1 in feature phone vendor and among top 5 in smartphones. 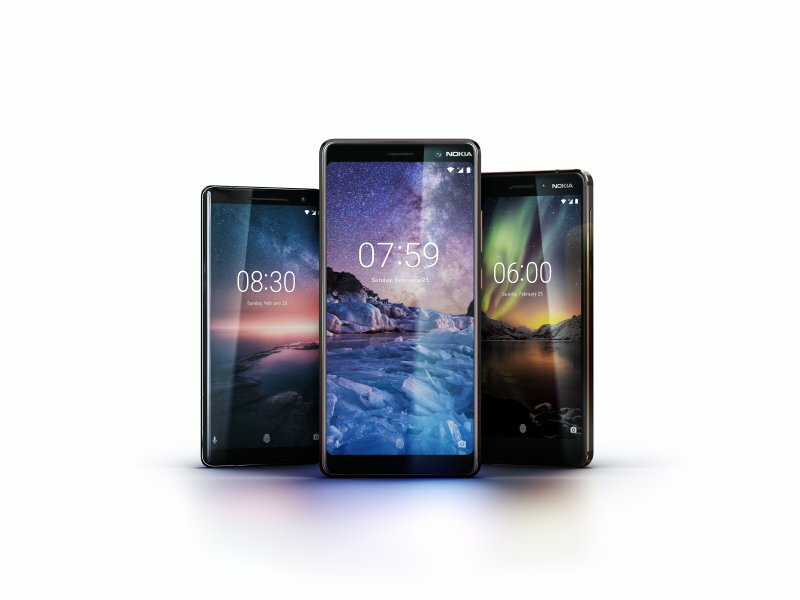 The new Nokia smartphones from the 2018 lineup got their official price tag in the UAE, and it looks really good for our readers from there. Nokia’s lowest end smartphone and first Android Go device, the Nokia 1 will be priced at 299 AED or 66 euros, before taxes (VAT is 5% in AED, but there are also import duties). The Nokia 6 (2018) will be available there for 198 euros or 899 AED, before taxes, while the 7 plus comes at 1,399AED or 307 euros, also without taxes. The Nokia 8 Sirocco before taxes will be available in the UAE for 2,399 AED or 526 euros, while the “banana” phone, Nokia 8110 4G will be available for 249AED or 55 euros, before taxes. As you can see, HMD has a pretty competitive pricing for the new Nokia devices, same as they had for the Nokia 8 last year. It’s always great to see that prices in any market are lower than HMD globally announced, and hopefully their announced prices without tax will be the max various retailers will ask for the devices. The 2018 lineup seems really competitive, especially the 6 (2018) and 7 plus, and will be interesting to see how the markets will react once the devices go on sale. The sale start is scheduled in April, but not all devices will be available in all markets at the same time.